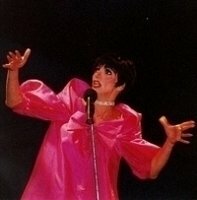 Liza Minnelli Celebrity Look Alike Impersonator. She is the “one and only person” who can give you the illusion of watching the real Liza Minnelli. With her incredible looks, brassy belting voice, sizzling dance steps and her passionate performance, she brings on stage a complete and uncanny image of the highly dynamic LIZA. Singing LIVE and dancing with her Cabaret dancers, she is available to present her show “A MOMENT WITH LIZA” for Theaters, Hotels, Casinos, Cruise Ships, Corporate Events, Conventions and Industrials. 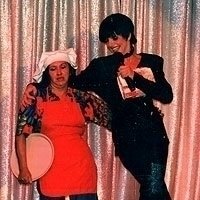 Liza Minelli impersonator/lookalike is excellent for corporate events, trade shows, private parties, clubs, fundraisers, & advertising. In addition, you can provide your audience with photos taken with “Liza Minnelli” as souvenirs. 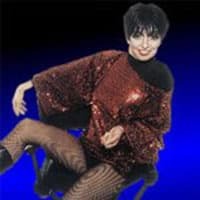 This accomplished impersonator not only looks like Liza Minnelli, she has captured the performer’s voice and mannerisms as well. Make your next corporate event, awards banquet, trade show, fundraiser, sophisticated party or advertising promotion a hit by having “Liza Minnelli” be part of the entertainment. This talented lookalike is wonderful at meeting and greeting your guests. You can even arrange to provide your guests with photos taken with “Liza Minnelli” as souvenirs. This performer looks, talks and acts like the real musician and is a perfect complement to any special event.